The admirable contributions of Indian Mathematicians include the concept of zero and the arithmetical notations of the place value. The historical evidences of the praise worthy contributions of the Indian Mathematicians extend from Indus valley civilizations to Vedic periods to modern 21st century. The contributions of the Mathematicians in India were in arithmetic, number theory, the decimal number system, negative numbers and algebra. Apart from these, significant contributions were made in trigonometric series expansions and the early computations of astronomical values. The Indian Mathematical concepts were passed on to Middle East, China and Europe. In the fifteenth century AD, the mathematicians from Kerala School of Mathematics had carried out many praise worthy studies in trigonometry. Scholars like Bhaskara, Brahmagupta and Aryabhata are a few Indian Mathematicians who contributed significantly during 400 AD to 1200 AD. 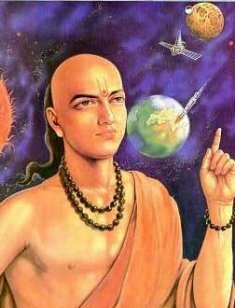 Aryabhatta was the first person who said that the Earth is spherical and it revolves around the Sun. Brahmagupta gave the methods of multiplication. Also he gave formula for calculating the area of a cyclic quadrilateral. Bhaskara has written many documents on permutation, surds and combinations. He had said that any number divided by zero results in infinity. Varahamihira (505-587) researched and documented Pancha Siddhanta, which described the Five Astronomical Canons. He had tabled the sine and cosine values up to four decimal places and independently derived the relations connecting sine and cosine. Ramanujan was born in 1887 in South India. He is the best known Indian Mathematician of recent period. He communicated 120 theorems to Prof. Hardy and astonished by the theoretical knowledge of Ramanujan, Hardy invited him to England. Ramanujan’s main contributions were in number theory. Ramanujan number 1729 is the smallest number which can be expressed as sum of cubes of two numbers in two ways. i.e. 1729 = 93 + 103 = 13 + 123. There are many other mathematical wizards in India. Sakuntala Devi born in 1939 is one among them. She took only 28 seconds to find out the product of two 13 digit numbers!